Tailored solutions to meet any of your special storage needs. Regardless of the industry you operate in, Dexion's range of unique storage solutions are engineered around you. Ensuring you're doing things as efficiently as possible now, yet remain flexible enough to adapt as your business changes. 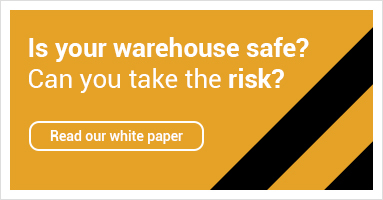 And if that weren't enough, if you're looking for a much more in-depth review of your warehouse or storage facility, Dexion provides analysis, advice and ongoing support to give you just that. From automotive, tyre storage and garage workshops; to food & drink, cold storage, building products and ecommerce companies, we're able to continually deliver a world-class blend of insight, guidance and practical assistance. Select your required solution from the options below. If you can't find what you're looking for, be sure to contact us. With so many decisions to make and elements to consider, it can be time-consuming to get quotes from different suppliers, which is why it pays to have an expert on your side. Our products and solutions are adaptable, expandable and flexible to provide the foundation of your operation for years to come. One of the key challenges in today’s market is staffing. Another is the rising costs of premises. If you’re looking for ways to overcome both of these, Dexion may have the answer. Our teams of Sales Engineers can provide site specific advice on which products would give you maximum gain in usable space. From standard shelving and plastic storage bins, to machinery, we can offer comprehensive solutions for shelving, carton flow, machinery, or sign and marking systems. If you operate a cold & frozen goods storage facility, you'll already know the challenge comes in keeping costs to a minimum. Looking for safe and organised storage of your long and heavy goods? Our long-storage solutions are the perfect fit for your precise requirements. Storing your tyres in the most efficient way possible is about maximising your use of space without affecting the quality of the tyres. Find tailor-made solutions here. If you have a larger warehouse for spare parts, or are storing many articles with a low turnover, then a multi-tier shelving installation could be the perfect solution. Semi-automated solutions are designed to reduce some of the most labour intensive tasks within the warehouse. These solutions are driven by humans, but bring in elements of technology to help improve efficiency. Pallet racking installed in areas that are known to be at risk of seismic activity needs to be designed, engineered and constructed specifically to resist seismic forces.